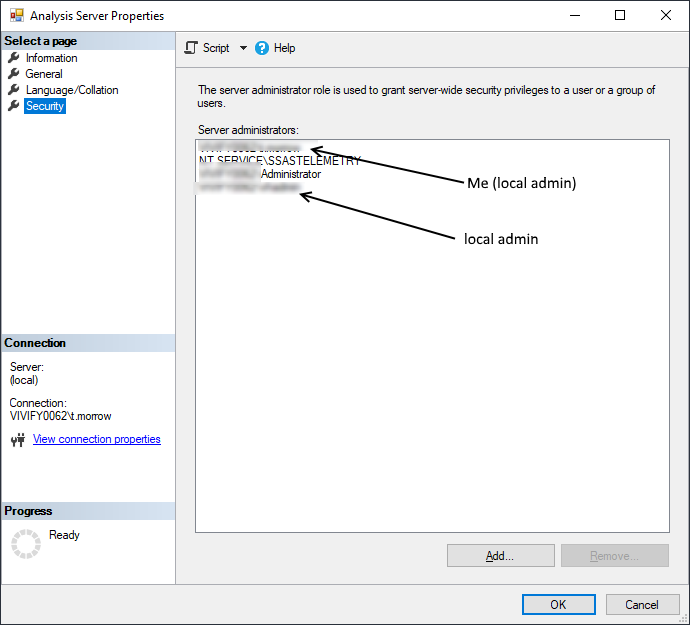 I can't create any objects under my databases in my Analysis Server. My context menus on all the folders under this test database just have Refresh as an option. My Analysis Server is running locally. I am a local admin. I am running SSMS as Administrator. I have tried running the Analysis Services as both Local System and my user. During setup, I added my user to the list of users who can administer Analysis Services. 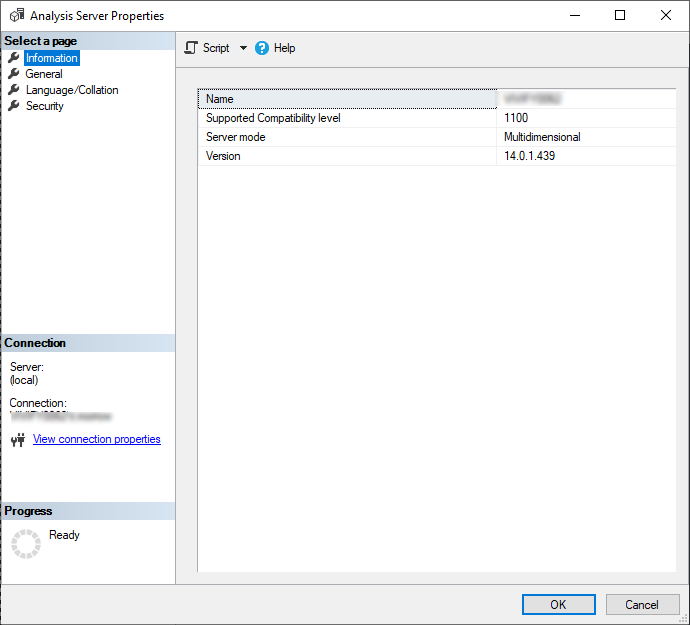 Use SQL Server Data Tolls (SSDT) to create the SSAS objects and deploy them to the SSAS server, where they can be managed through SSMS. 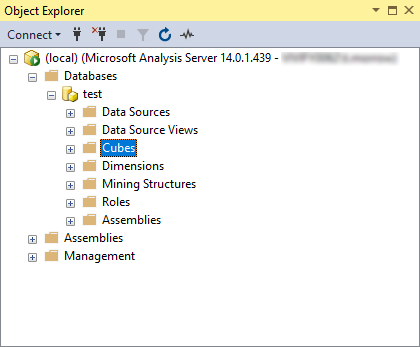 Once created, modifications can be made to cubes in SSDT with the changes deployed and accessible in SSMS. The following items outline this further. 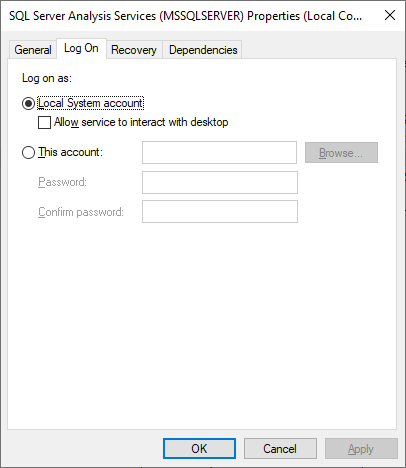 While the last link covers the deployment process, the third item (configuration) details the deployment server property and other deployment related settings. Not the answer you're looking for? 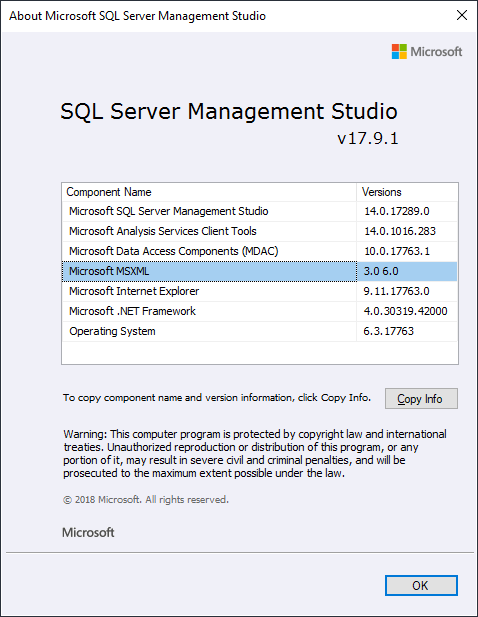 Browse other questions tagged ssms ssas or ask your own question.